Thank you to everyone for making 2015 a successful blogging year. I apologise for my absence over the last few weeks. As most of you know, I was in the process of selling my home in Brisbane and moving to Melbourne. I am happy to report that my house has now sold and I have officially moved to Melbourne. Miss Gidget and I are settling into our new apartment and we are starting to explore this wonderful city. A quick update on how the move happened. 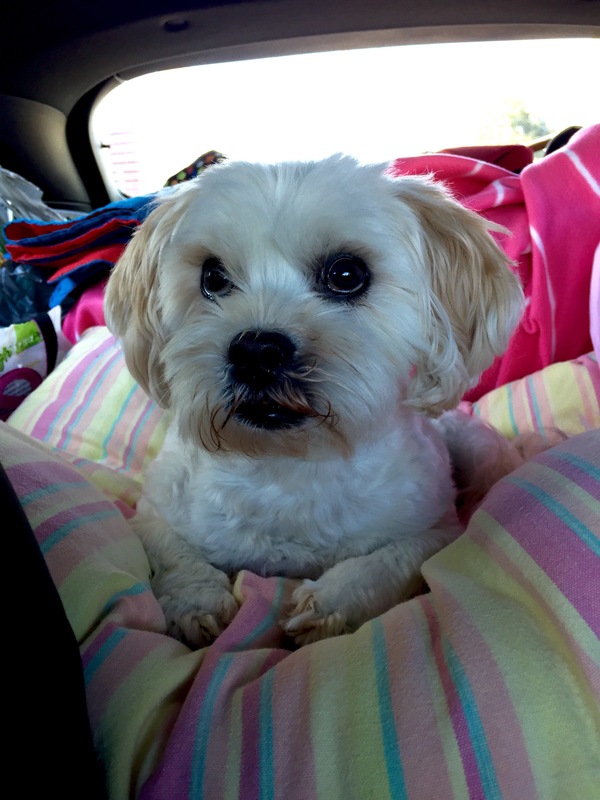 My mum and I drove back to Brisbane with Gidget on New Years Eve. Thirteen hours in the car… Again… And then we spent the next three days packing up my house, along with the help of my best friend. On Monday, January 4th, the removalists arrived at 7:30am and packed up all my furniture and about a zillion boxes, filling around half of a shipping container and then they took it away to the train. Meanwhile, Mum and I cleaned, took rubbish to the tip, took a lot of things to charity and generally ran around like crazy. Mum flew home that night, another tearful goodbye, and MissG and I went to stay with my bestie, Moana, for the night. 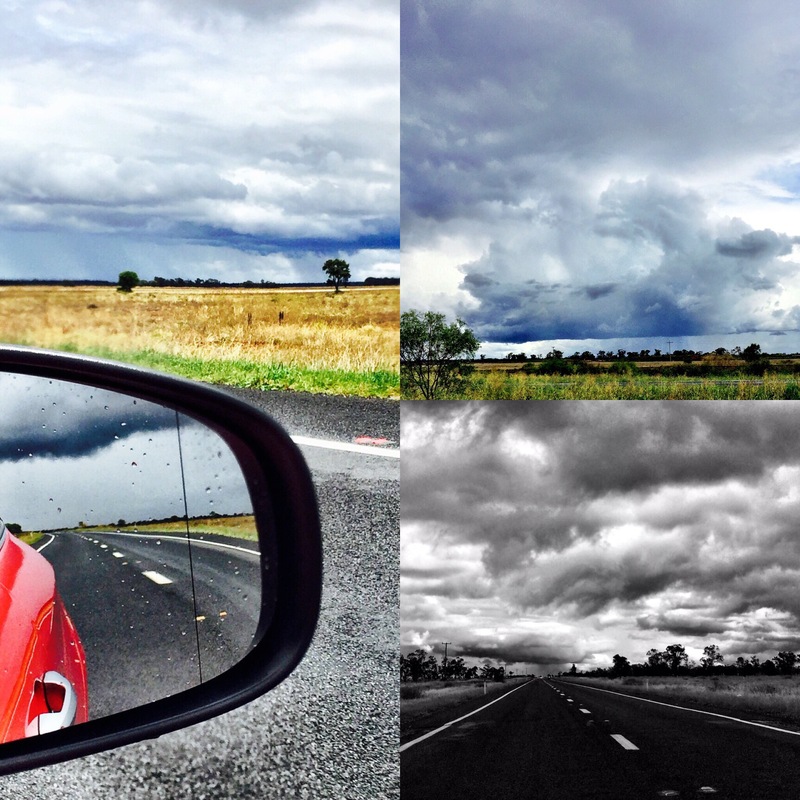 The next morning, the three of us drove to Melbourne – 1,800km over 2 days, and about 22 driving hours. What do you think Moana? Did we listen to TayTay’s 1989 5 or 6 times? The first day, we seemed to be travelling within a constant storm, it rained very heavily a lot of the way. MissG was much better on the trip to Melbourne and I think it’s because I propped her up on her favourite cushion up high on the folded-down back seats, right between our seats. We arrived in Melbourne on Wednesday night and the removalists arrived at 8:30 the next morning to fill my new little apartment with a whole bunch of stuff. Moana stayed with us til Friday night and unpacked like a pro, sorting my kitchen and organising my boxes, travelling to multiple IKEAS with me… I am so thankful to her for doing the trip with me and helping me get settled in my new place. Miss you babe x.
I may not post very often for the next week or two. I have no internet at home yet, a few problems with the communication company, and I’m relying on my very expensive mobile data plans, so I am not posting much, apart from a few photos on Instagram. I’m looking forward to getting back to the blogosphere, I’ve missed you guys! And I’m looking forward to some exciting new things in 2016. Is there anything you’re looking forward to? You’re managing this difficult time with grace and humour – and beautiful photos on top of it! Settle in well and come back to blogging when you’re ready! Thanks you Mara. Very kind words. I’m so sorry it’s taken me so long to get back to you. Best of luck in your new home. Since we bought our home 36 years ago, when we go married, we haven’t moved; so we don’t know what a hazzle it is to move all your stuff to a new place. Must be quite an experience. Take your time. We will be waiting for you. Best of luck in your new home. Thanks so much Omar. I wish to not move again for a long time. I’m almost properly back now, I’ve scheduled a few posts to ride me over. I just have some more unpacking to do. Thank you so much for your comments. Thank you so much for your comment Britta. I hope you’re doing well. Oh that’s so good to hear. I’m very happy for you! Thank you for this. I didn’t get a chance to reply to these comments earlier. How is your plan-to-move coming along? De-cluttering is one of the best parts, it’s so good to get rid of things you don’t really need anymore. Lists! You need to have lists of all the things to do. I still haven’t changed my address yet, I’m so slack! Thanks again. Haha… I am a list person anyway, my OH says I probably have a list of lists! Working my way down one now – just booked the car in for a service (along with finding a hairdresser I hate having to find a new mechanic)! All being well, it should happen next week! The purchase, not the move. But it is a start. Oh excellent! Next week?! That’s great. OMG finding a new hairdresser – so scary. I’ve been with my old one for 12 years. I’ve made an appointment with a new one after much research and checking photos on Instagram and stalking the place on my morning and evening GG walks. I hope it’s going to be ok. And yes, mechanic is next, my car is due for a service very soon. Thank you Su, I really appreciate that. Oh Andy, I would have loved to use your connections. It took more than four weeks to get internet! And it’s only ADSL!! Thank you for your kind comments. Thanks Andy. I haven’t been online much either but trying to get back on now. Happy New Year Desley, it sure sounds like it is shaping up that way for you nicely. All my best wishes for a great year in your new city. Hey Karen! Thanks so much for this comment. So sorry it’s been an age before I’m replying. A nut farm?! How exciting!! Congratulations. Where are you in the process now? It’s not a fun process but it feels wonderful once you start settling in. Best wishes for your move xox. We’ve signed and hopefully settle within the next two weeks. Still trying to sell mine. One day we’ll actually move! ! Well that just made me cry…I know how disappointing your news was, but you just never know what will happen next! In the meantime yes, time for plenty of catchups! Who knows, next time you’re in Melbourne, that part might finally be available at IKEA – ha! LOL I’m still listening to TayTay. On repeat. Great to hear that the move went smoothly and that you all managed the drive – it’s a LONG way!! All the best for your new life in Melbourne, you look like you are getting amongst it already, good for you. 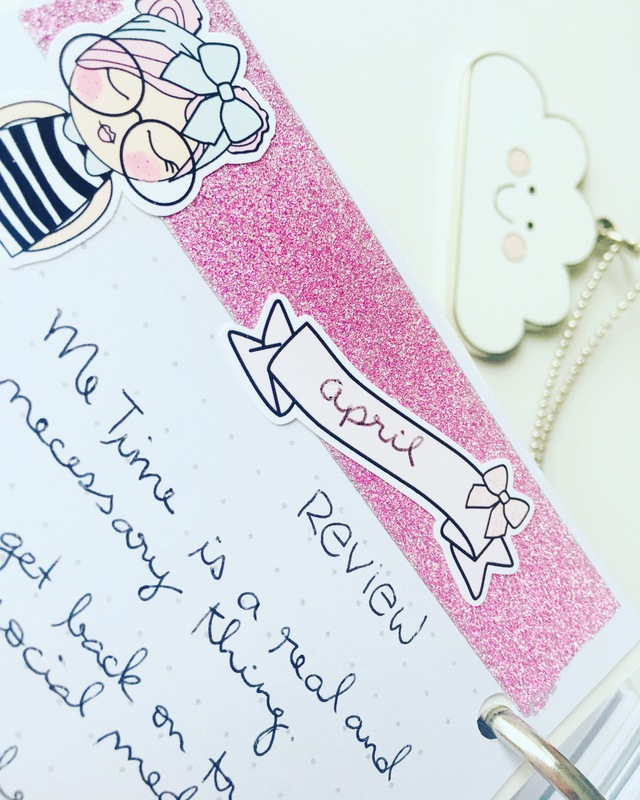 Look forward to having you back in the blogosphere – have missed you! Thank you for taking the time to let us know how life is going for you. Such good news that your place in Brisbane has sold and now you can really settle into Melbourne. What troopers your Mum and Moana are you will all miss each other. And little GG looks so excited about what is happening too. (Will you ever need a house sitter? just asking!!!) 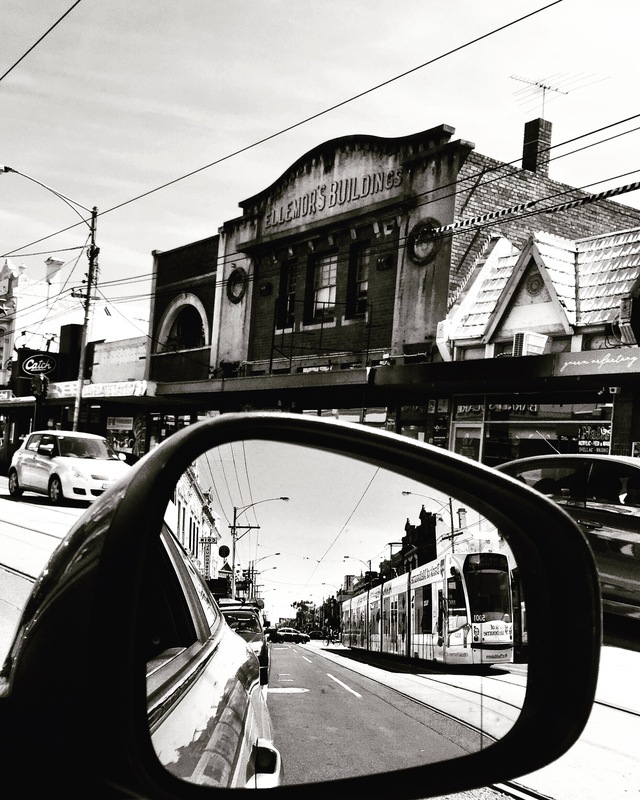 Love the inspired photos of looking forward and looking back in the rear vision mirror. Do you know that Slim Dusty song? It is one of my favourites. Best wishes for the coming year and look forward to when you can get back to the blogosphere. My pleasure PP, thanks for reading and for your well wishes. I do know that Slim song. He was (still is) one of my Dad’s favourite singers. Hmmnnnnn, house and GG sitting could definitely be needed!! I’m very much looking forward to coming back soon. Thanks Terri, my back is still not the same after that drive! I’m finally back!! Thanks for the update. We miss you too! Miss G looks amazing on her cushions and I too love the images in the side mirrors. Happy Melbourne. That’s so awesome – congrats on the big move! Melbourne is such a fantastic city. After having lived there for 5-odd years I have so much love for that place! I’m sure you’re gonna love it too 🙂 Happy settling in! 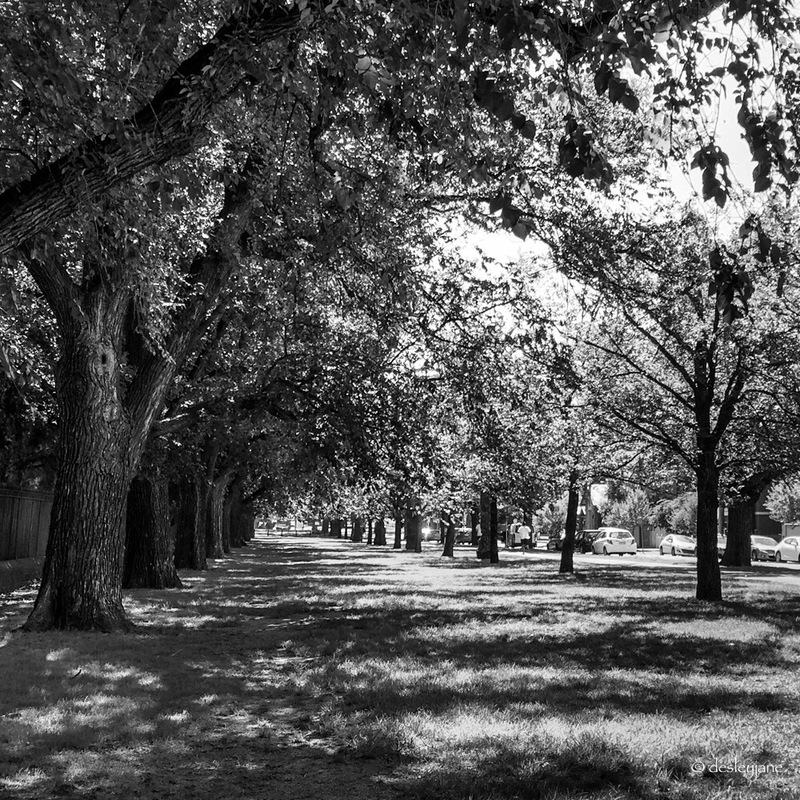 These are some really great photos!! You moved!!! And sold your house…I guess that means I can’t buy it. I love that photo of the house in the rear view mirror, and the metaphor. But that house does not look PINK! Thanks so much Badfish. I did sell and move! You missed out. And no it’s not pink. Just the door and a few internal walls. And a lot of furniture lol. Thank you, the photo of be house in he rear view struck me as a good idea and it felt good too!! The dog looks comfortable on that cushion, but she should be glad that you didn’t have to hit the brakes for any emergencies! We drove that same distance (just 100 km longer) once in one go! One driver was sleeping while the other was driving, it was tough. Better to take two days like you did. Best of luck getting organized in your new place. It’s a good thing that you had great helpers. What am I looking forward to in 2016? Finishing up the full sleeve tattoo that I’ve started, probably get another tattoo as well, visiting two tattoo conventions: one in Budapest and a huge one in London (where I’ll also meet up with a blogger friend of mine for the first time), participating in a group photo exhibition next week, going tobogganing with a bunch of couchsurfers later today, summer vacation and meeting a whole bunch of lovely ladies throughout the year. In other words: plenty of things to look forward too! Yes I did think about the ramifications of a harsh brake but luckily it didn’t come to that. Wow, straight through, that sounds intense! Thanks, we’re settling in. Good luck with your plans for 2016, they sound like good fun. I did! Thank you! We are settling in, just waiting for my back to get better before I finish unpacking. Oh and I need to buy IKEA bookcases for my office and build them. Not exciting me at the moment lol. Me too. They have some wonderful stuff. But assembly, not so much. Thank you. I guess we all make our own luck? Or not.